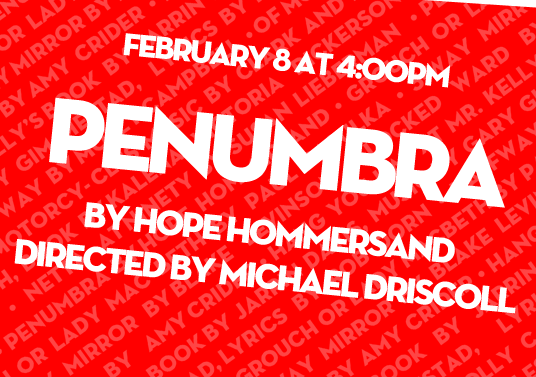 PENUMBRA explores the symbiotic relationship between cutthroat financial competition and personal moral decay. It takes place in 2008 during the financial meltdown. The plot moves from the netherworld of the homeless to the stratosphere of high finance. The main characters are Josh, aka Slick, a homeless musician and Bart, the CFO of New World Financial. An unsolved murder is the catalyst that propels these men towards a confrontation. Cassie, a homeless woman, observes it all and serves as a quasi-Greek chorus.